So, I “met” my friend Erica through the nest. She is in Houston. 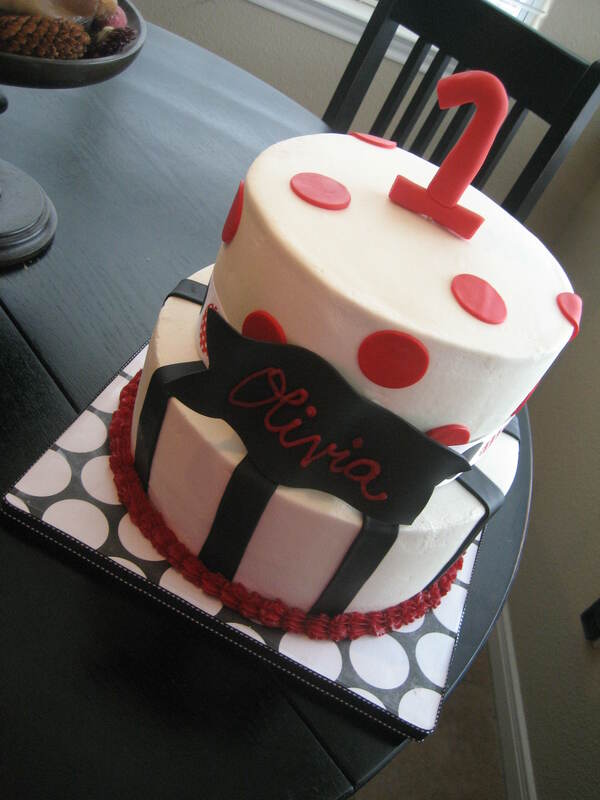 She contacted me a few months ago about doing her daughter’s 1st birthday cake. I was so honored she asked. I had planned to go to Houston that weekend so it worked out perfectly. THEN Keith got sick. He has Guillain Barre Syndrome and is unable to feel below his waist. Needless to say, there was NO way I could leave him to go to Houston. Erica agreed to meet me halfway and I am so glad she did! She is so awesome!! 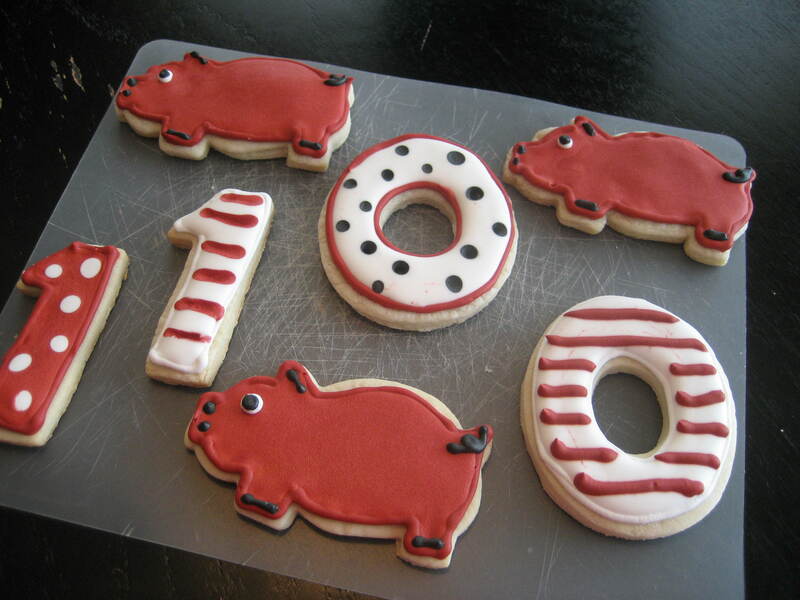 Olivia’s Birthday Party was based on Olivia the Pig. Lots of red, black and white! 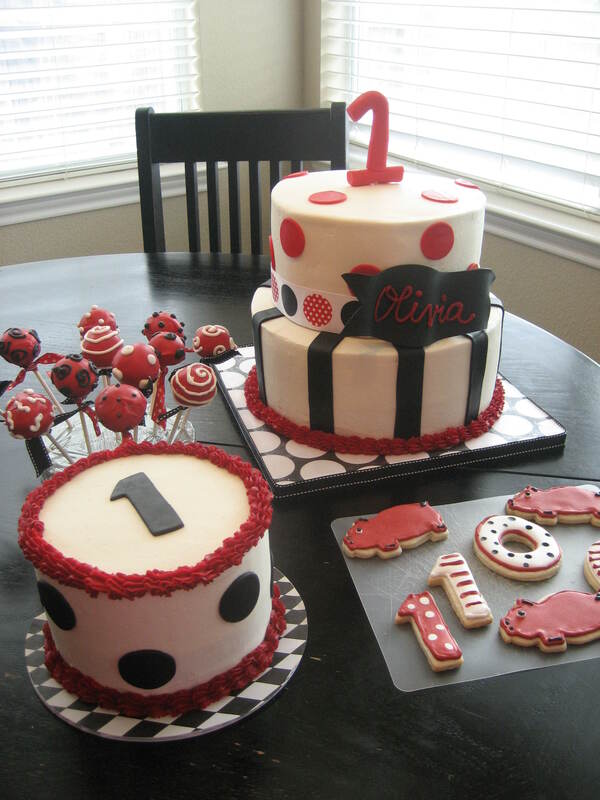 Erica wanted cake, smash cake, cookies and cake pops! 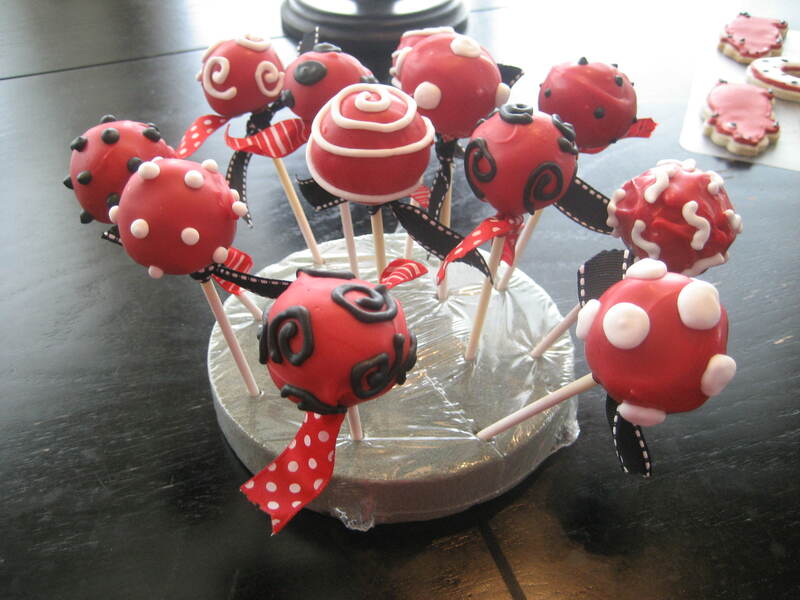 The cake pops are Chocolate and Vanilla. The cookies are Sugar Cookies. 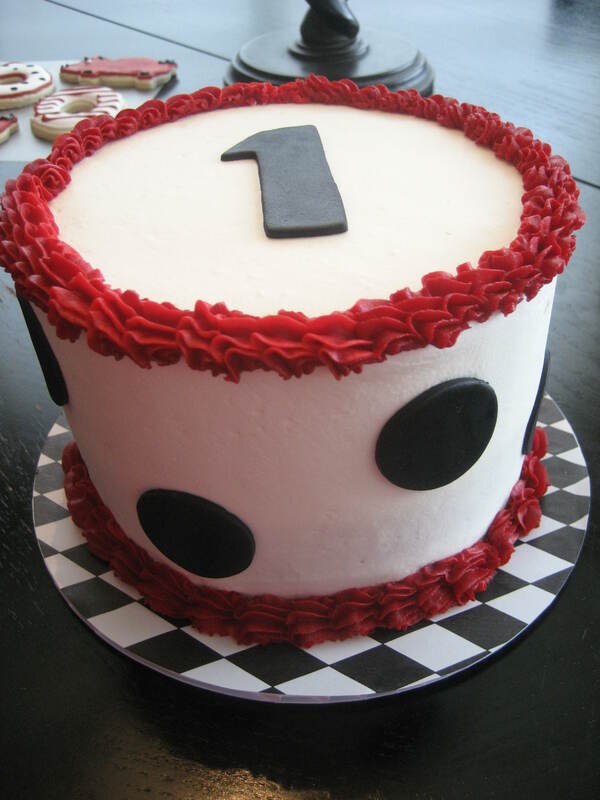 The Smash Cake is Vanilla Cake with Cookies and Cream Filling. The “main” cake is one tier of Chocolate Cake with Strawberry Filling and one tier of Vanilla with Snickers Buttercream Filling. « Happy Marriage Ana & Trey…..